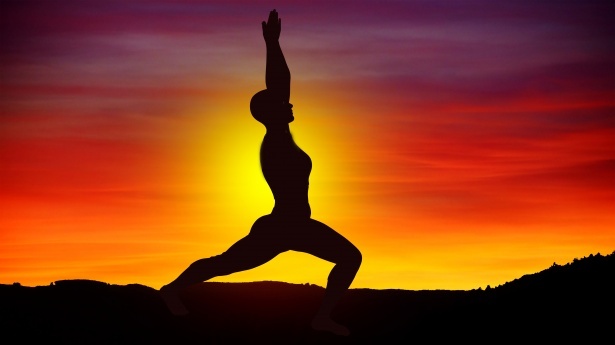 Do you think yoga can help with your mental health? Are you continually stressing about life? Working under pressure? There are a lot of health approaches on how to relieve stress and promote relaxation. Most of them may dwell in a dualistic type of approach, but why don’t you take relaxation to another level? In a health care point of view, care can be given in either of the two approaches; the allopathic or dualistic approach and the homeopathic or holistic approach. The former approach deals with a modern standard of medicine which is scientifically proven. On the other hand, the latter deals the other way around. They see health as a balance of the physical, mental and spiritual whole. Self-awareness. People who have undergone this kind of holistic approach may fully understand their body through self-awareness. They know their limits and will realize what things only they can or cannot do. They will be open-minded to learning new things since they have a great awareness of their strengths and weaknesses. Concentration increases. By doing yoga, you may have the capability of focusing on tasks with or without any distractions. Furthermore, you will be able to experience calmness once your concentration has increased. This is a great benefit for our easily distracted society! Reduces anxiety and stress. In yoga, you are taught how to do proper breathing techniques that promote relaxation. This has the added benefit of helping reduce anxiety. It is said that yoga is the most effective way of relieving stress and anxiety. Optimal mental health maintained. According to research, stress and working under pressure are contributing factors for impairment of mental functioning. By practicing yoga, optimal mental health can be maintained through effective meditation techniques. This kind of exercise is very effective since it not only improves your decision making skills, but also helps you with focusing on what is important. Self-confidence rises. Being confident on anything that you do improves your performance and ability to succeed. Practicing yoga benefits you in a way that improves self-confidence by showing you that you can accomplish a new yoga pose or holding a pose for longer than you though possible. Mood stabilizer. Practicing yoga makes you calmer and less prone to react to certain situations. Alterations in mood greatly affect your performance, productivity and most especially your health. For example, if you are depressed, you have the tendency to isolate yourself and may not have any interests of doing everyday things in life. Because yoga is meditative, it may help boost your mood and help with your mental activity. These are just a few of the mental benefits of yoga. According to most research, yoga is also recommended by most medical practitioners to be an adjunct therapy to psychotherapy. Since yoga is the integration of mind, body and spirit, it can greatly help individuals with impaired mental functioning. Furthermore, there are reports that state that yoga can be used as a treatment regimen for persons with obsessive compulsive disorder and those who suffer from substance abuse. Indeed, yoga does have a lot of benefits. It not only helps you to stay physically fit and healthy, but also mentally fit and healthy!